Junagadh: Lions are spectacular creatures and people from all over the world flock to lion centuries in Africa and Gir in Gujarat, as they spend hours with guides on safaris in order to catch a glimpse of the big cats in the wild. But while the king of the wilderness may look majestic in the jungle, bumping into one in an area inhabited by human beings can be terrifying. 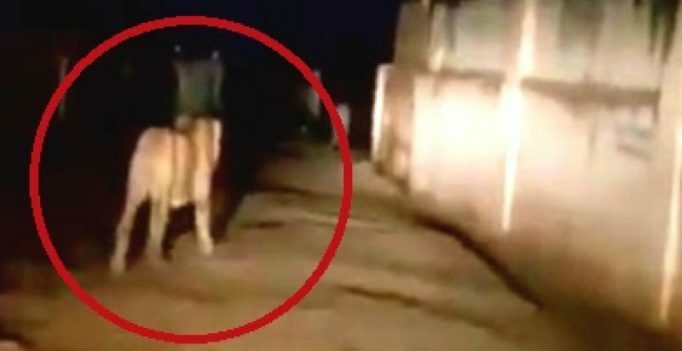 A video showing two Gir lions roaming around near a town in Junagadh district of Gujarat is doing the round on the social media, as it shows one moving out of sight after being caught on camera, the other is seen walking unfazed. While such sightings are not rare in the villages and towns close to the Gir Forest National Park and Wildlife Sanctuary, it does reflect how human settlements can get in conflict for animals as seen in different parts of the country.